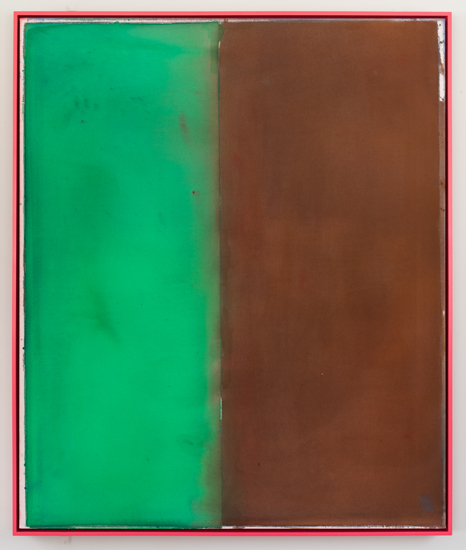 Matt Connors is a painter whose work -- his whole body of work for the past several years -- has become increasingly more complex and interesting. Certain pieces are at once conceptual and provisional, carrying a certain intellectual weight and conveying a visual feeling that's light as air. 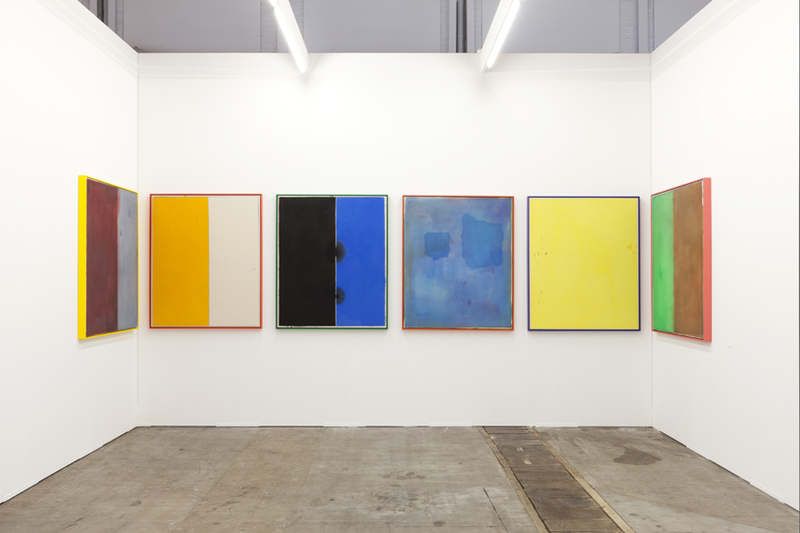 The group of work he made for Art Brussels this year exemplifies this feeling. Punchy vs earthy colors slid together within a painted frame that acts more like a counterpoint than a presentation device. It's factors like those, among other things, that show he's working the picture plane beyond it's multi-layered history, pushing painting forward and further. In pieces he's made in recent years, more scrappy ways of working have been employed by Connors, but in this series, a more subtle and nuanced way of working won out.